Major Lazer’s Diplo will serve double-duty during the festival, going back-to-back with Alison Wonderland and Jauz on Sunday. 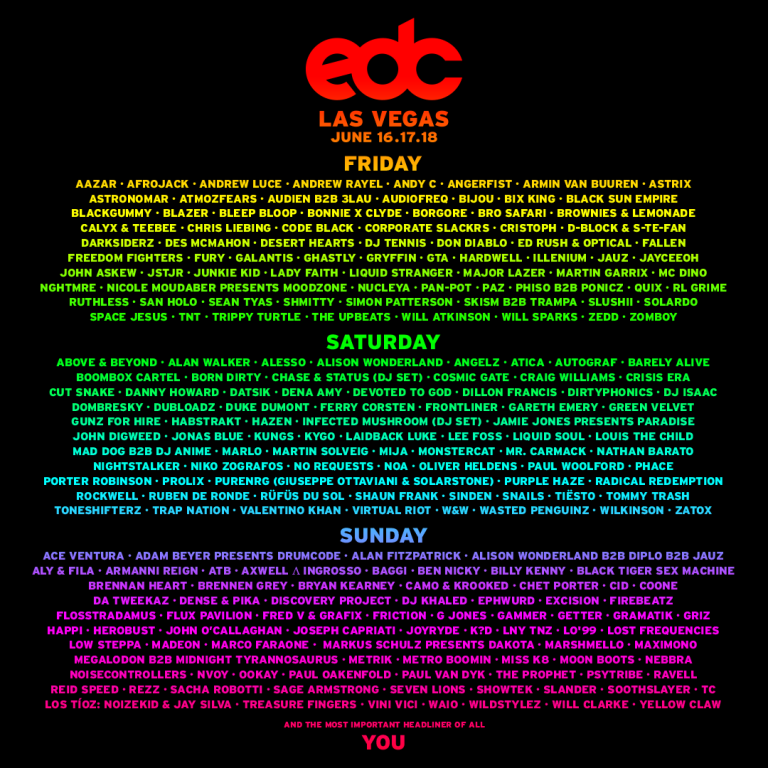 The weekend line-up also boasts Alesso, Danny Howard, Axwell Λ Ingrosso, Mr. Carmack, Porter Robinson, Adam Beyer Presents Drumcode, Low Steppa, Yellow Claw, and the recently-solo Flosstradamus. DJ Khaled, Rezz, Kygo, and RÜFÜS DU SOL are among those making their first official appearances at the festival. In addition to the debut Factory 93 Experience at the neonGARDEN and the brand new quantumVALLEY hosted by Dreamstate, the WasteLAND, bassPOD, cosmicMEADOW, and upside-downHOUSE give sonic structure to the diverse lineup. The festival will also feature art car takeovers by Monstercat, Brownies & Lemonade, Desert Hearts, Psytribe and Trap Nation. See the full EDC Las Vegas 2017 line-up just below. The event is 18+ and passes are available now.